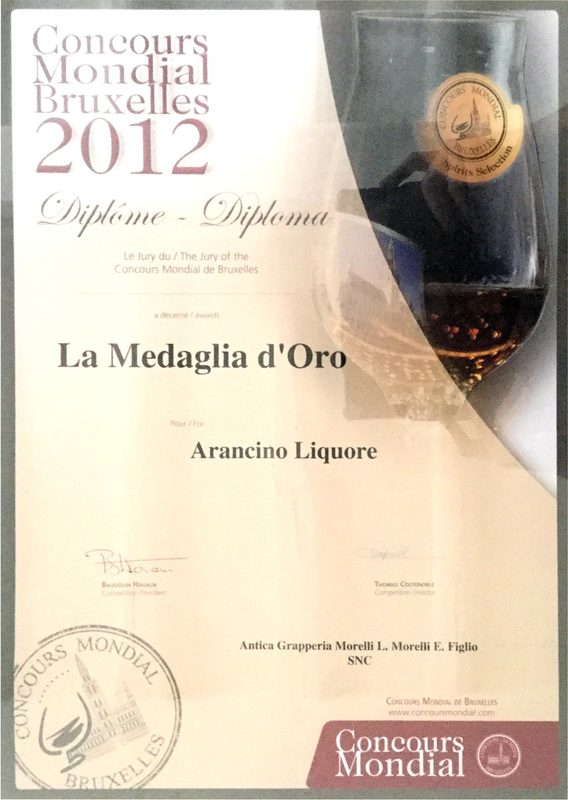 The first product to win the silver medal was the Centenary Grappa, at the World Brussels Competition held in Portugal; in the same edition the Arancino Speciale 32nd and the Grappa 50/50 Barrique won the prize and were awarded gold. 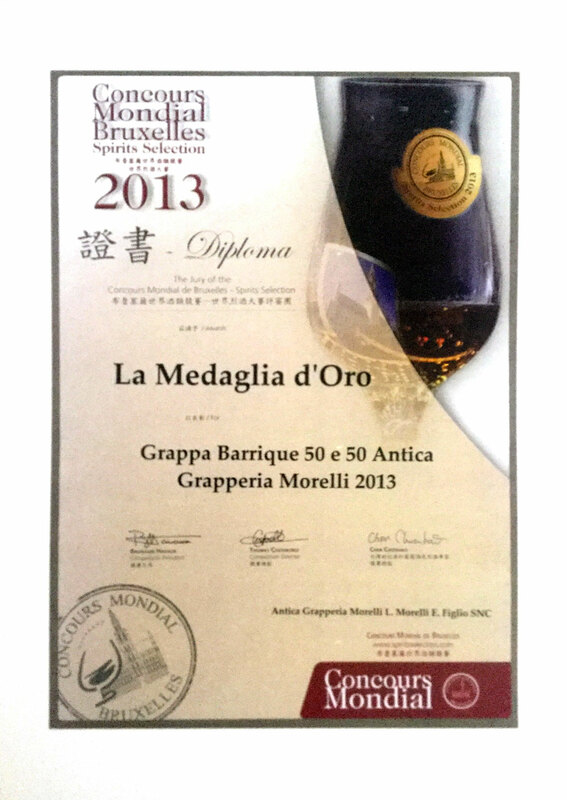 It continues in 2013, with a new edition held in Taiwan, at which the protagonist was Grappa 50/50 Barrique, one of the products of excellence of the company which distinguished itself on this occasion by winning first place. 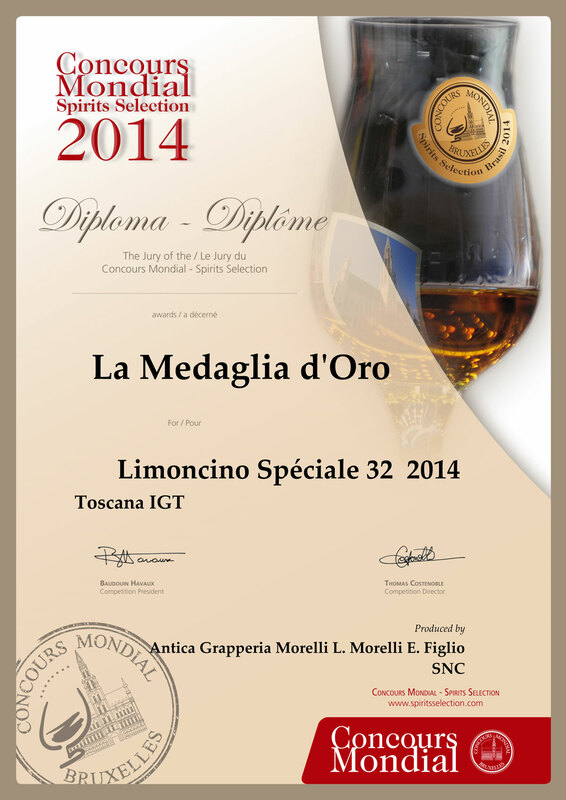 One year later in Brazil it was the Limoncino Speciale 32° that received the Gold medal, bringing the name of the company Morelli to the forefront , but the honours don't end here and 2015 was a particularly important year for the products of the Antica Grapperia Toscana which were able to captivate national and international palates. 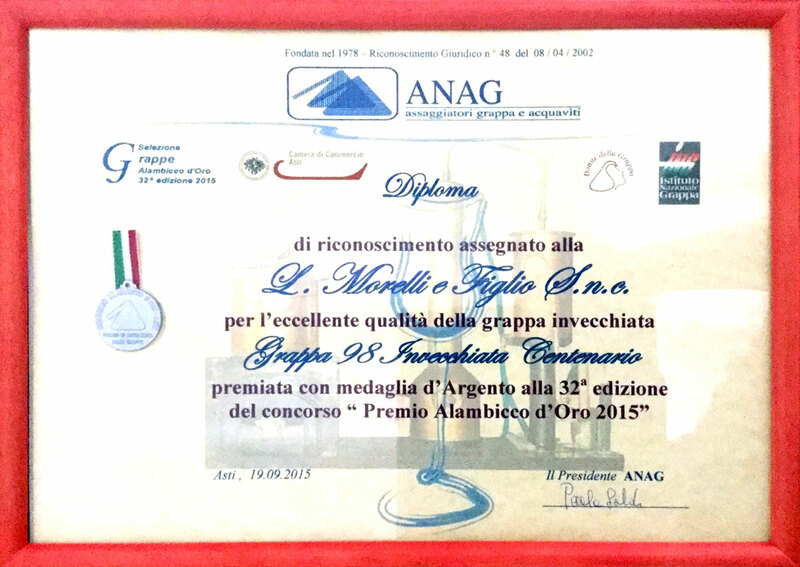 After the silver medal for the Crema di Meloncello, also awarded at the Brussels Competition at Guiyang (China), the Centenary Grappa won the silver medal at the 32nd Concorso Nazionale (National Competition) Premio Alambicco d'oro 2015 organized by ANAG during the month of September. 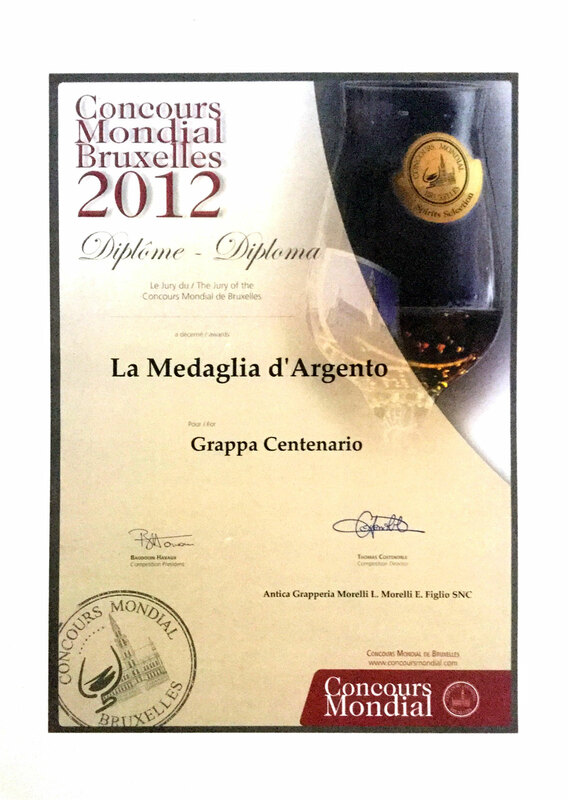 The desire to a take up a challenge does not end here and in the years to come we will again be competing for numerous prizes.